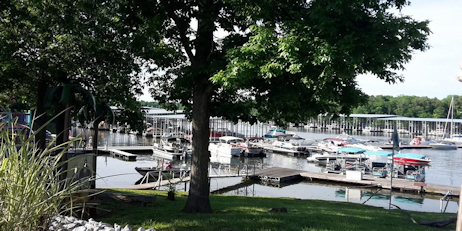 Buzzard Rock Marina Resort offers the complete package to any vacationers headed to Lake Barkley. From spacious cottages designed to accommodate a group of folks to cozy efficiency units perfect for smaller outfits, the resort invites guests to kick back and relax for a while. In addition to the comfortable lodges found at Buzzard Rock, there are also 100 acres of woodlands, providing ample opportunities for hikers and bikers to explore the resort’s natural, scenic surroundings. Fully furnished cottages and resort units are available for rent at Buzzard Rock Marina Resort. All accommodations come with a covered deck, furnished with picnic tables, chairs and a barbecue grill. Vacation rentals ranges from 2-bedroom, 2-bath condominiums to lakefront cottages to single room units. Guests can enjoy breathtaking views no matter where they decide to lodge. All accommodations at the resort are pet friendly. Buzzard Rock Marina Resort offers guests access to their full-service marina, complete with complimentary boat slips. Whether looking to fish the plentiful waters or just wanting to float around the lake, guests will find that the marina at Buzzard Rock is the perfect starting point for a great vacation. Boaters not lodging at Buzzard Rock Marina Resort also have access to their 285 covered and uncovered boat slips. Overnight docking services are available. 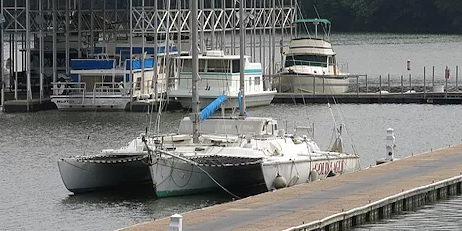 The marina’s service repair center is open Monday through Sunday. Mechanics are on site to assist with any maintenance and repair needs that may arise during boaters’ time on Lake Barkley. Guests also have ready access to laundry facilities, a swimming pool, two playgrounds, a basketball court, a gift and apparel shop, as well as boat rentals and two restaurants located on the premises. You don’t have to own a boat to enjoy the scenes at Buzzard Rock Marina Resort. Pontoon and fishing boats are available for rent at the marina. Some rules do apply. See their website for details. 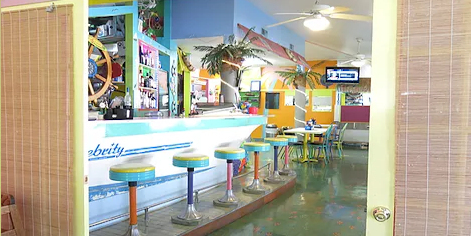 Guests can enjoy breakfast, lunch and dinner with a scenic view of Lake Barkley at this tropically inspired cafe. In addition to a variety of salads, “Buzzardtizers,” pizzas, sandwiches and other daily, featured menu items, the Buzzard Rock Cafe is also famous for its half-pound Buzzard Burger. Buzzard Rock Marina Resort has been touted as the original “wet” spot in the lakes region. If guests wish to relax and have a few drinks with family or friends in the evening, the resort’s Low Down Buzzard Bar provides the perfect backdrop that features a Caribbean motif. The bar serves up a variety of cold beer, wine and spirits. Rumor has it that the bartenders at Buzzard Rock serve some of the best margaritas in town. Live music is performed every Friday and Saturday night during the regular season. Music ranges from classic cover bands like Midlife Crisis to blues musician Lew Jetton & 61 South. A variety of independent local musicians and bands also make their way to the stage at the Low Down Buzzard Bar, offering patrons a variety of options to enjoy while staying at the resort. The gift and apparel shops at Buzzard Rock feature an eclectic mix of whimsical souvenirs, humorous t-shirts and also a few practical items that guests of the resort and marina may need to purchase during their stay on Lake Barkley.